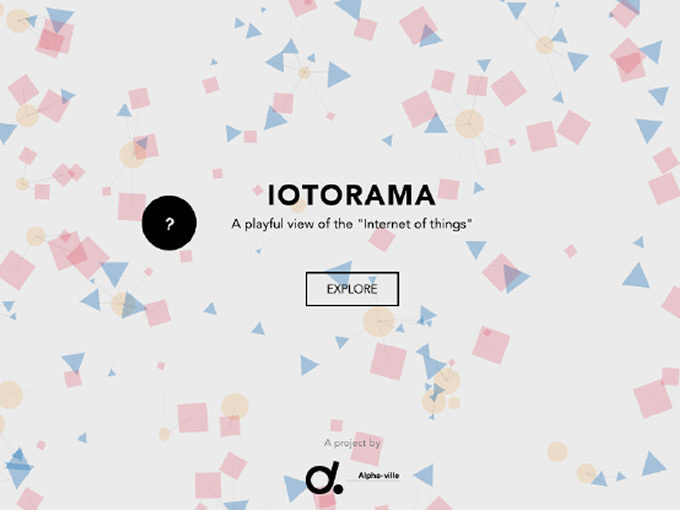 The newly established Alpha-ville digital creative studio announces today the launch of IOTORAMA, a new interactive project where people can learn about the “Internet of Things” in a playful way. IOTORAMA consists of a web experiment available for everyone to experience at www.iotorama.io, alongside an interactive installation currently on exhibition at the Mobile World Centre in Barcelona. 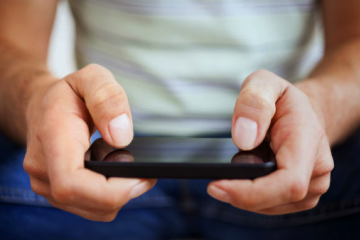 The term IOTORAMA has been created by combining IoT (Internet of Things) and the Ancient Greek suffix “orama” (opaµa), which means “sight”, “spectacle”. The project depicts the world by familiar areas such as home, environment, body-mind, culture, DIY and social. 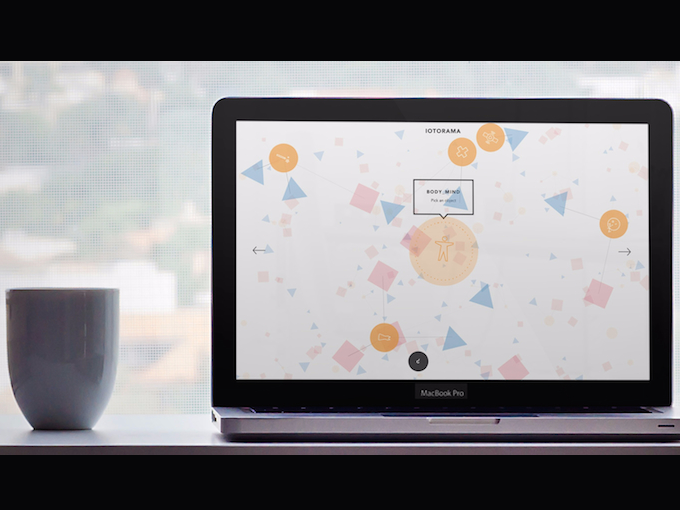 It invites people to explore a game-like ecosystem of smart objects (circles), data sources (squares) and purposes (triangles) which, when linked together, unfold a curated selection of over 75 related projects. The inspirational selection includes the solar-powered dress Wearable Solar by Pauline Van Dongen, digital art canvases by Framed and Electric Objects; the connected Hello Barbie; a DIY kit to build your own web-connected thing by readDIYmate, a robot that acts as your PA Personal Robot by Robotbase and many others projects. 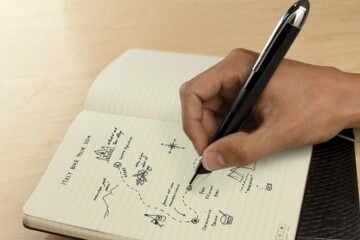 A series of Design Fiction projects have been integrated to reflect on possible future scenarios, inviting users to consider the social and cultural implications of connected technologies. In this category, people can discover projects such as Pplkpr, an app by Kyle MacDonald and Lauren McCarthy that tracks and auto-manages your relationships; Ethical Things by Simone Rebaudengo, a device that questions the moral qualities of intelligent objects; and Gofor Drones, a concept project by Alex Cornell which questions how we might use drones in the not-so-distant future. 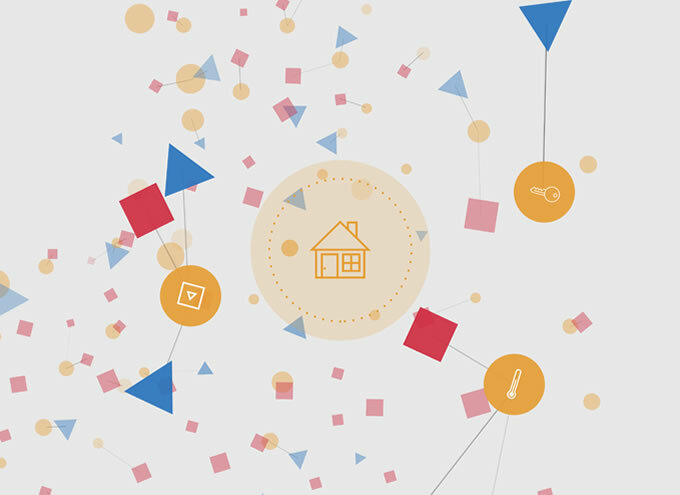 Inspired by the shapes and colours of the Bauhaus, IOTORAMA‘s interface is comprised of a constellation of beautiful animations and soundscapes which provide a fresh approach to the world of IoT and challenge the traditional interface design and navigation. IOTORAMA uses the latest Html5 technologies for web including WebGL and big data integration with Google Spreadsheets. The project has been designed and produced by Alpha-ville in collaboration with London based collective of creative technologists FLUUUID, young creative and ex-Google Creative Lab Jonas Eltes, and sound designer Giganta. The installation, commissioned by Mobile World Capital for their Connected Beings Exhibition, is currently being exhibited at the Mobile World Centre in Barcelona until 31 July 2015 and available for international touring. The web experiment has been kindly supported by Telit, the global provider of wireless Internet of Things (IoT) technology. Alpha-ville has become known for curating and producing pioneering art+tech related festivals, live events, conferences and exhibitions. 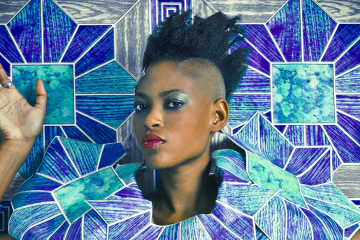 Initially launched as an international festival of digital arts and culture in 2009, Alpha-ville has recently started operating as a curatorial agency and creative studio. London-based agency and digital creative studio working in the innovative space where art, technology and digital culture meet. We craft and deliver installations, exhibitions, experiences and digital projects for brands, institutions and cultural organisations. Alpha-ville was set up in 2008 by ex-Googler and digital specialist Estela Oliva and cultural producer Carmen Salas to bridge the cultural, creative and digital worlds. The company is formed by a small and passionate team that extend to a community of talented artists, designers and technologists who work with the directors to deliver top-notch projects.